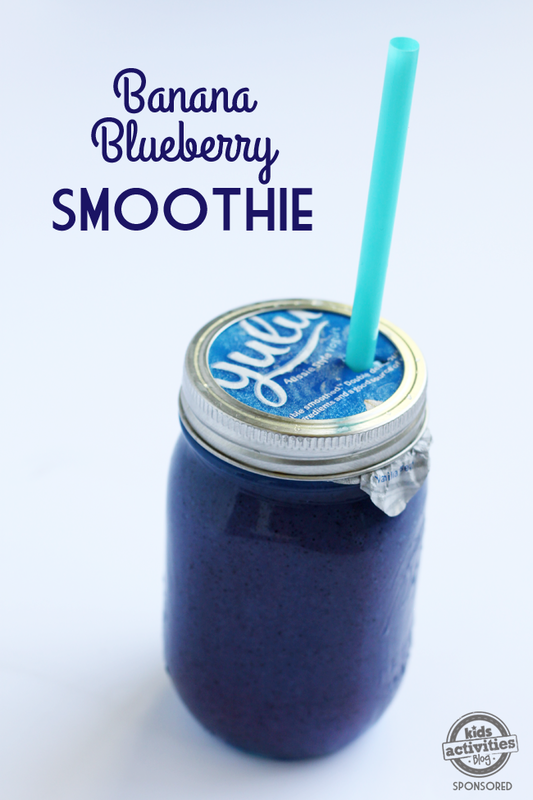 This delicious banana blueberry yogurt smoothie makes the perfect breakfast for busy summer days. 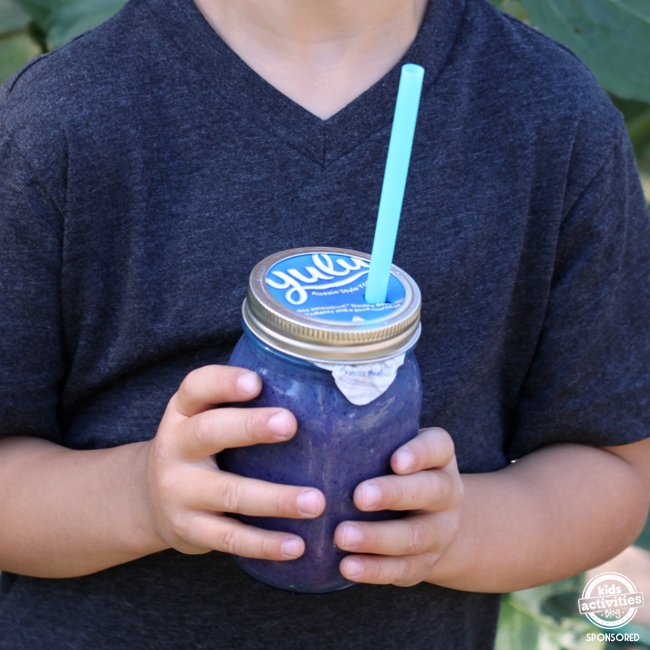 Here at Kids Activities Blog we love a good smoothie recipe, we partnered with our sponsor Yulu, to bring you this extra tasty one. 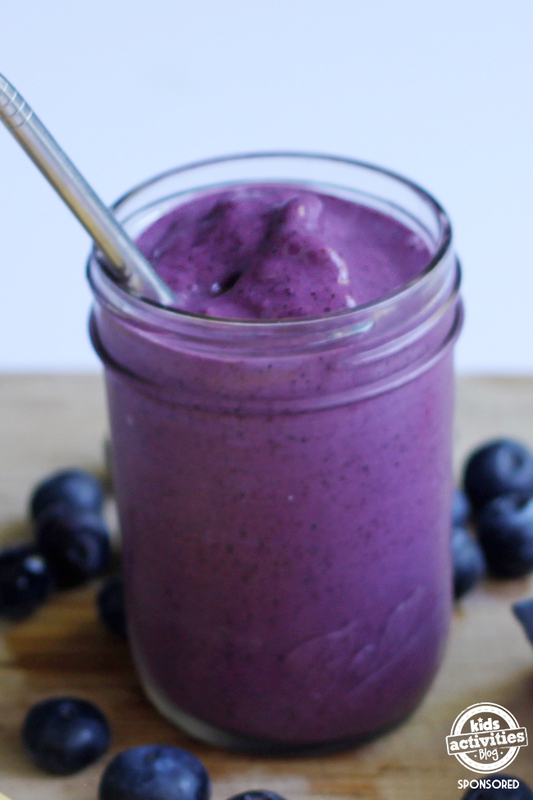 Plus, we’ve got a genius hack that turns a regular mason jar into a spill free smoothie cup! 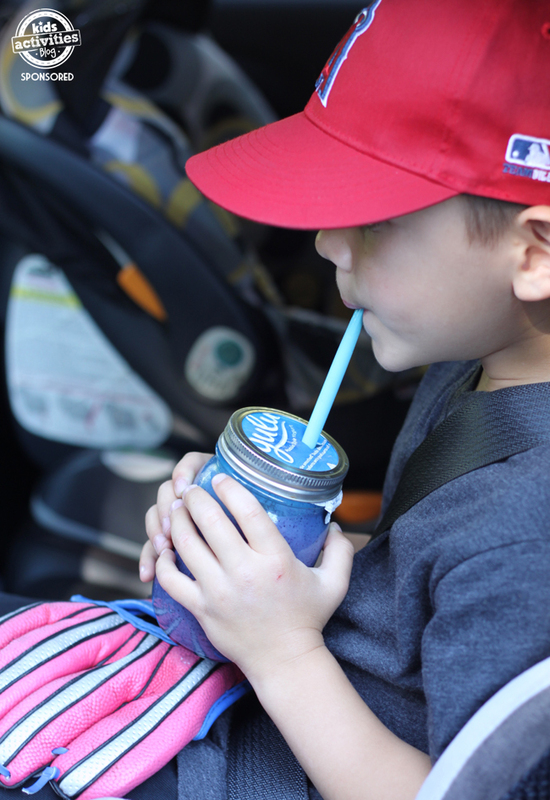 Whether it’s an early morning baseball game or a big day at the beach, you can whip up this smoothie and hit the road. This tasty breakfast on the go is perfect for your next adventure. Note this recipe makes one large or two small smoothies. Pulse until the ice is crushed. 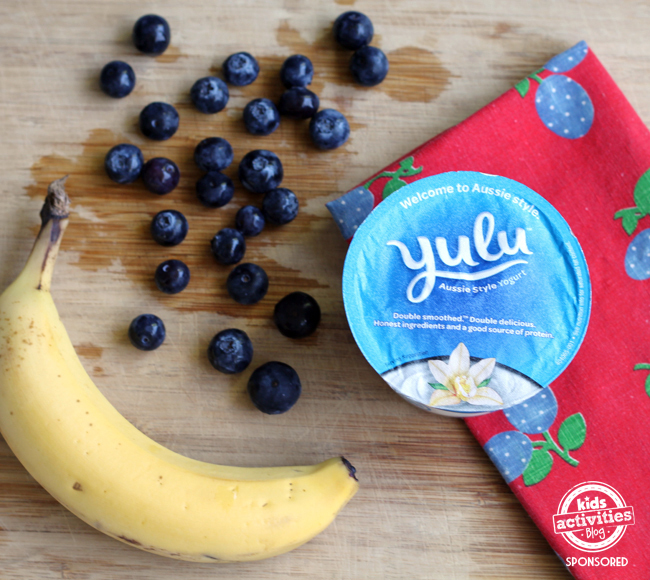 Use the foil top of your Yulu container to create a spill proof lid for a mason jar. First fill your jar will smoothie, then place the foil over the top. Next, spin on a ring until tight. Lastly, use a sharp knife to create a small slit and then insert a straw. Now you can travel with your smoothie without worrying that it will end up all over your car. I’m always looking for tasty, nutritious snacks for myself and my kids. 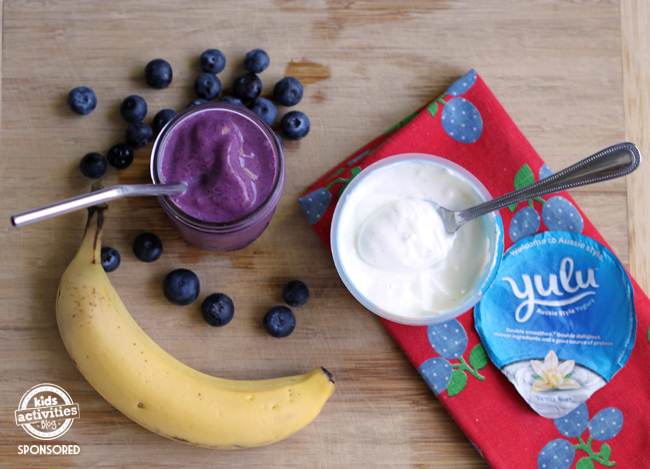 Yulu is double smoothed and extra creamy, your kids (and you) will love this Aussie style yogurt. It is made with honest ingredients and is a good source of protein, making it the perfect way to fuel your summer adventures. Sign up for the Yulu Newsletter for coupons, giveaways, and more. Previous Post: « 25 Avengers Party Ideas – Have an End Game “After Viewing” Party!